Sending children to prison for cash! Some stories are almost too horrifying to be true. One such story is reported in this week's Economist. Two US judges have been found guilty of sending children to a privately run prison in order to receive kickbacks from the company running the prison. The crime was discovered when one of the two judges sentenced a 15 year old girl to three months in prison, because she had created a fake MySpace page ridiculing the assistant principal at her school, despite the fact she did not have access to a lawyer, something that the constitution guarantees. This is a story that is almost Dickensian in its disregard of humanity in the pursuit of money. The two judges are going to jail, but there is a chance the prison companies (the people paying the kickbacks) will get off scot-free. Over the weekend I was teaching a Web 2.0 workshop at the AMSRS Summer School, just North of Sydney. 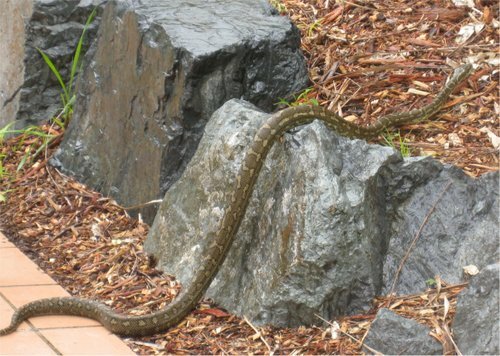 Along with the normal hazards, such as the firewall blocking access (initially) to key Internet sites, Coffs Harbour had a new hazard, a snake! Whilst my attendees were supposed to be engaged in a group activity, they all suddenly rushed over to the patio windows to watch a 5ft python slide by. I am glad to report that despite its size, and despite the many, many poisonous snakes and spiders in Australia, this one was harmless. I like trying to surf, and I love Cornwall, but I think I would stay well out of the water if I saw this! 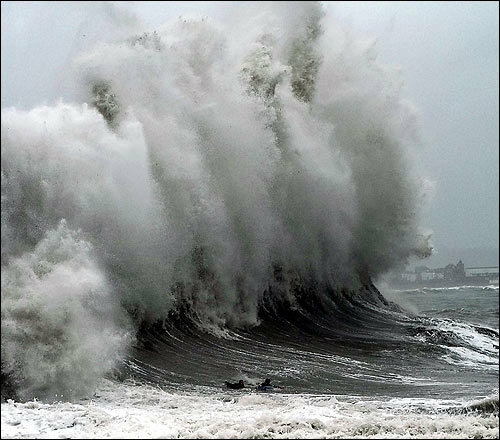 This picture was on the BBC website 15th Jan 2008, the wave is just outside Penzance, right down on the Western end of England. The report said the wave was 15m high (50ft).